On Friday afternoon I was asked if we could help teach one of the refugees some English. However when we introduced ourselves he showed us a note written at the back of his notebook which said that he was very shy, his English was bad and not to laugh or make jokes around him. It was a bit odd and as we are not professionals we were a bit unsure of ourselves. It turned out that he could understand and speak English well but he couldn’t read or write it. He asked us to write a sentence in the past, present and future tense and then we read it out loud so that he could write out how it sounded using Arabic. He also asked for one of us to write a word and draw pictures as definitions so he could learn how to write the names for different jobs. The more time we spent with him the more his confidence grew and the more he opened up to us. He told us he could speak Arabic, Persian and French fluently and was amazed that we could only speak English. He told us about his job in Iran as a truck driver and how much he loved being able to work. He told us about how he had no family left in Iran because his brothers, sisters and mother had been killed and his dad had been detained. He said that when his dad was released he was so traumatised that he had lost his wife and children that he killed himself. This amazing man sitting in front of me had no one. He said he had no friends in France and he didn’t want any because all he wanted to do was learn English and concentrate on his studies so he could move to the UK for a better life. He was very lonely. Towards the end of our time with him he tore out one of the last precious pages of his note pad, ripped it in half and under the table he seemed to be folding it. He asked us to each pick a hand (left or right) and he handed us two little packages that he said we can only open when we had left for the day. 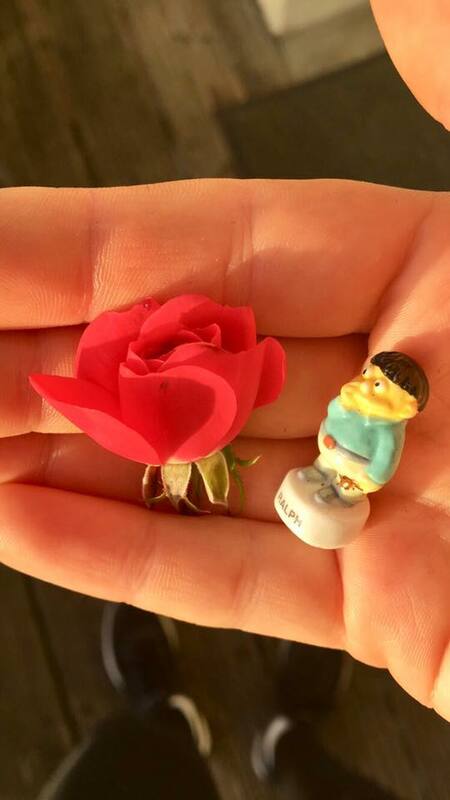 When we left we opened the packages, one had a rose and the other had a little figure of Ralph from The Simpsons. He had been carefully carrying them around in his pocket. It blew my mind that with someone little still wanted to give a gift. As we were packing up he came back to find us to thank us for our help and to apologise for how bad his English was which, just for the record, was not bad at all. It was clear that we had formed a friendship with this amazing man who had lived a very unfair life. We will never forget him.